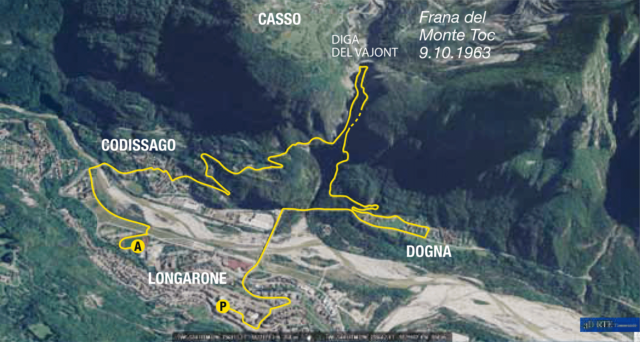 The 10 km track of Vajont’s walk starts from the center of Longarone: the track comes down near the river Piave to cross it and after the hamletDogna, it goes in the Vajont’s cleft following the left orographical on the ancient streetColombèr, that for decades,it was the communication street between Piave’s valley and Valcellina, reaching the ENEL plants and gallery in front of the dam. At this point the track crossing the Vajont’s cleft on the “tube bridge” to exit again into Piave’s valley. 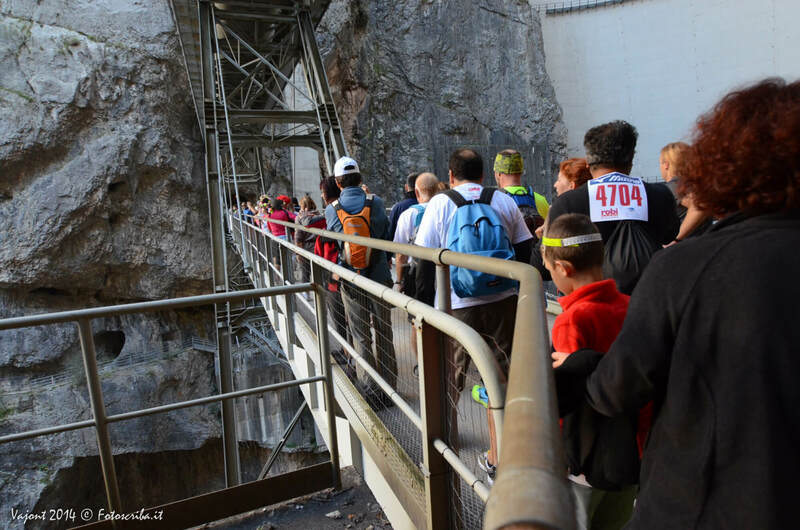 This section of the track is forbidden for the public: it’s service accesses of ENEL propriety, that on the “I percorsi della memoria” occasion, gives specific authorization. 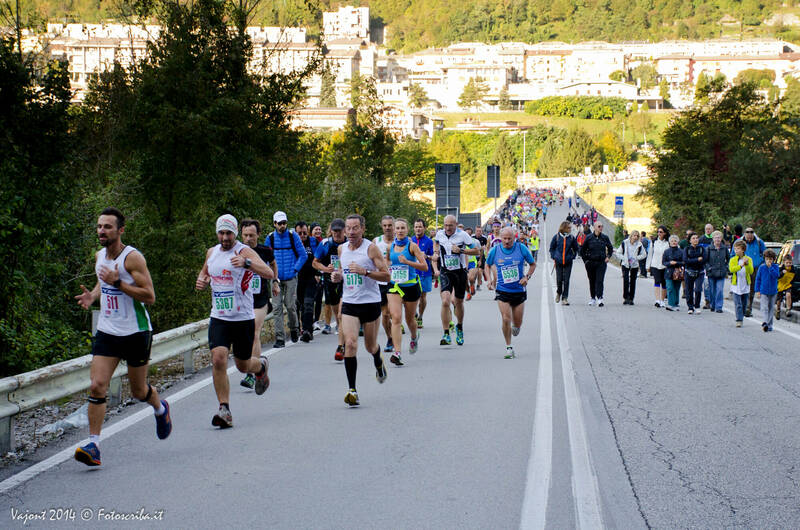 From here the 10 km track goes down again towards the valley, through the abandoned marble mine in locality Pascoli and the center of Codissago, and arrive at the finish line by the sporting structure of Longarone. In recent years the organization is hocked for making this track accessible also to strollers and prams. 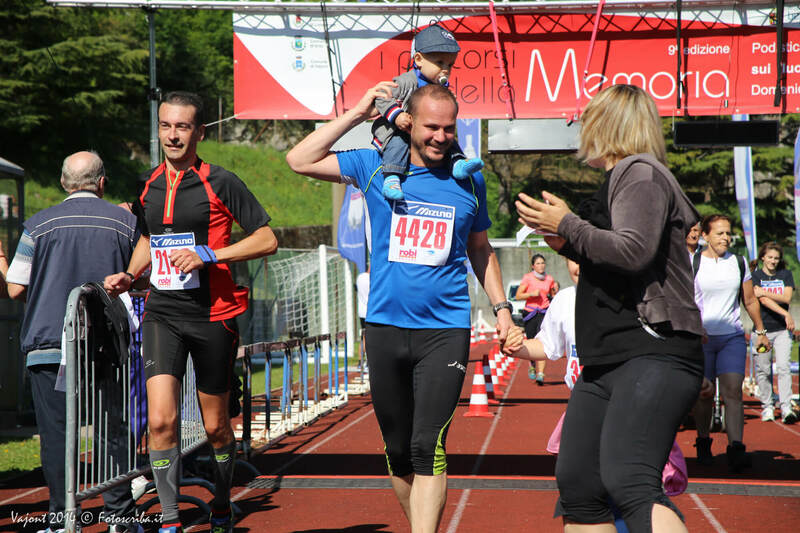 The route is then suitable for family with little kids and for people who have physics disability.